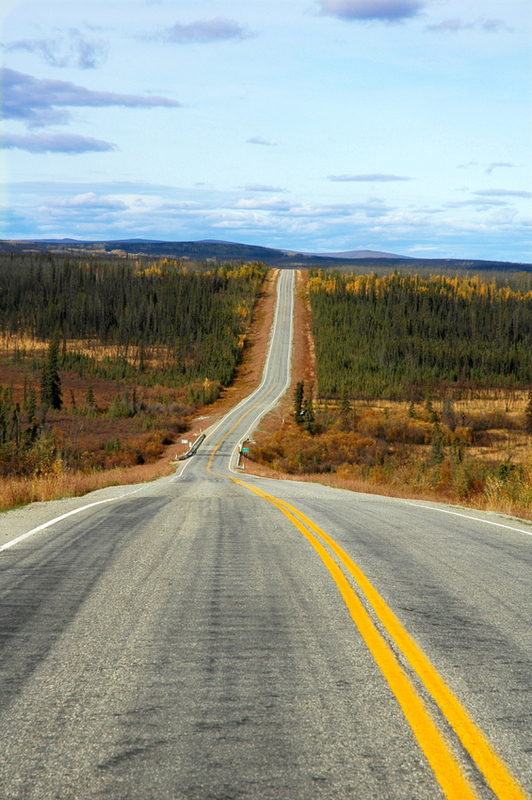 Alaskan Highway near Whitehorse, Yukon, Canada. 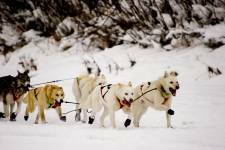 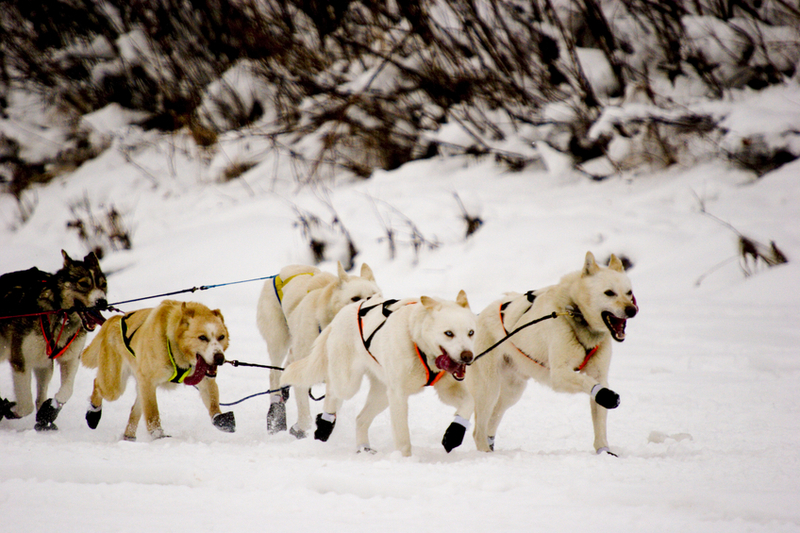 Teamwork - Huskies racing during Yukon Quest 2006. 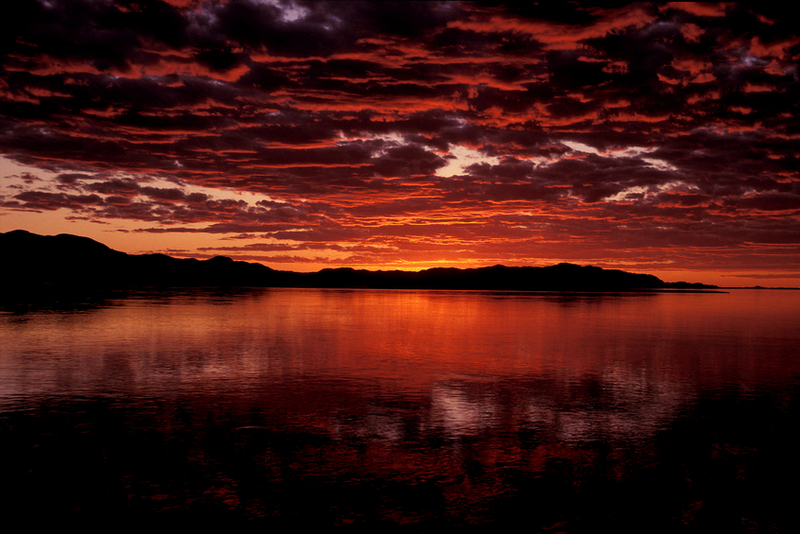 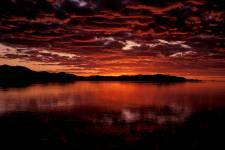 Midnight sun, Yukon, Canada. 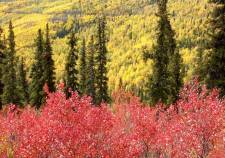 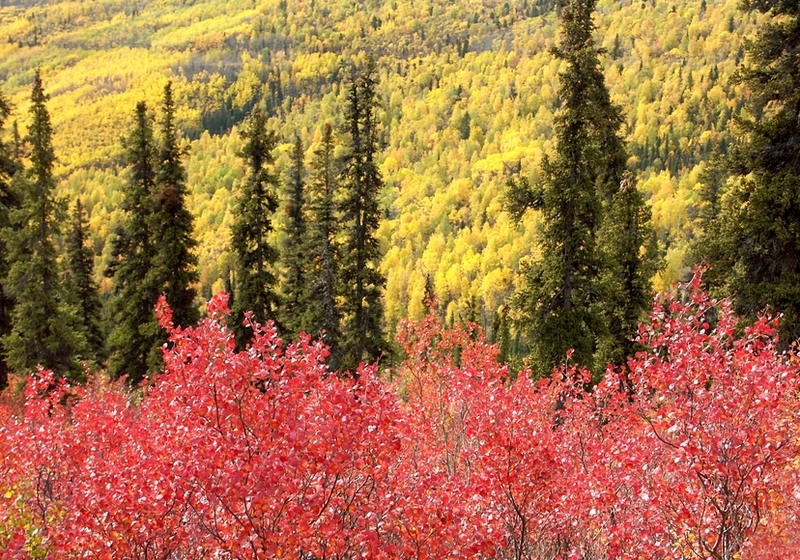 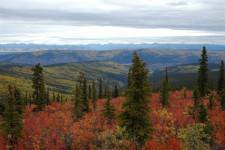 Autumnal colors of paper birch and dwarf birch in the Yukon landscape. 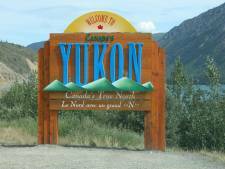 Subarctic landscape along the Top of the World Highway, Yukon. 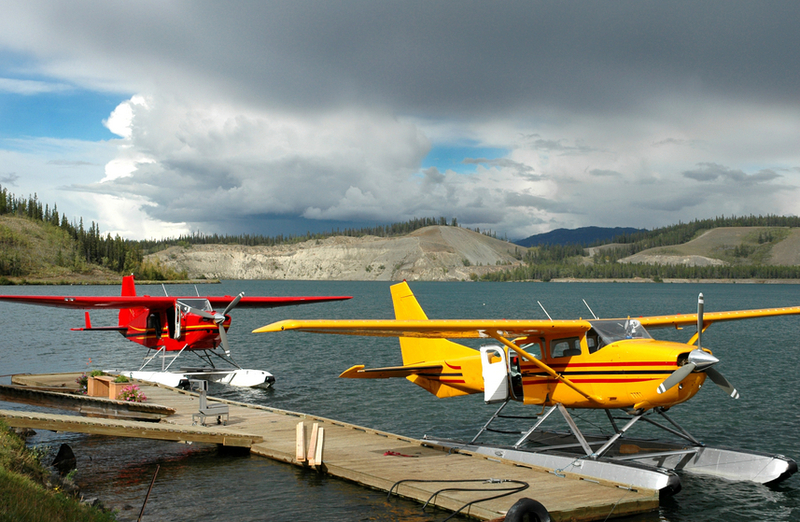 Floatplanes on Schwatka Lake, Yukon Territory A picture of a log home on a blue lake in the Yukon of Canada. 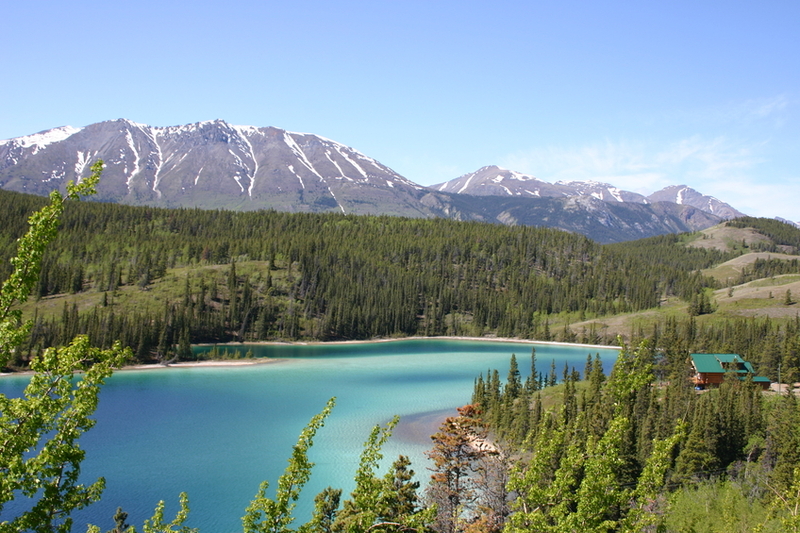 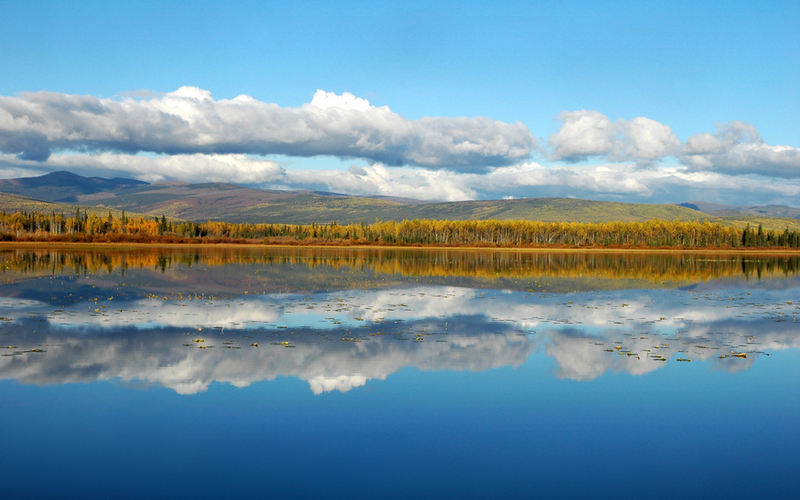 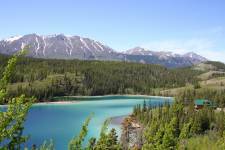 Gravel Lake on the Klondike Loop is an important wetland for migratory birds in spring and fall.